Monday Mash up: Last week I was asked to make a bridal shower invitation for a friend. I used what I had made and turned it into my mash up. 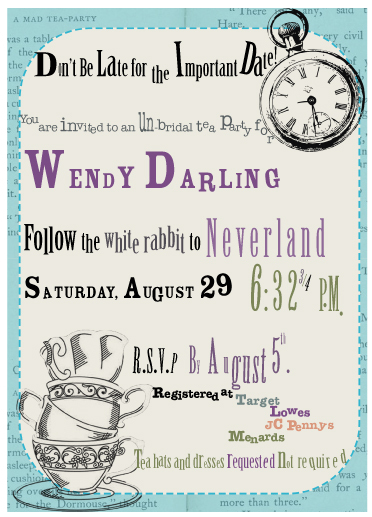 This is an invitation for Wendy Darling from Peter Pan but with an Alice in Wonderland theme.